While SD-WAN has dramatically changed the way WANs are now structured, procured and consumed, not everything has changed. The business case for making any substantial technology change still has to stack up and provide senior executives with the confidence to progress a great concept to an agreed business strategy. With the accelerating migration from on-premise applications and storage to cloud and mobile-based services, conventional WAN technologies are not only expensive, they do not provide the scalability or flexibility necessary to meet future business needs and user demands. Hence substantial technology change is necessary and SD-WAN is the technology virtually all WAN service providers globally are st. Enterprises need to consider this change both at the management or overlay level, as well as the circuit or underlay level. Our recent articles looked at the management/operational options available in Telco vs Non-Telco delivered SD-WAN and then at the transport or underlay options available in Telco vs. non-telco at the underlay. This article considers the overall commercial analysis of SD-WAN. We have seen more than 60 SD-WAN vendors in the market with varying degrees of solution capability, maturity, deployment experience and outcome success. 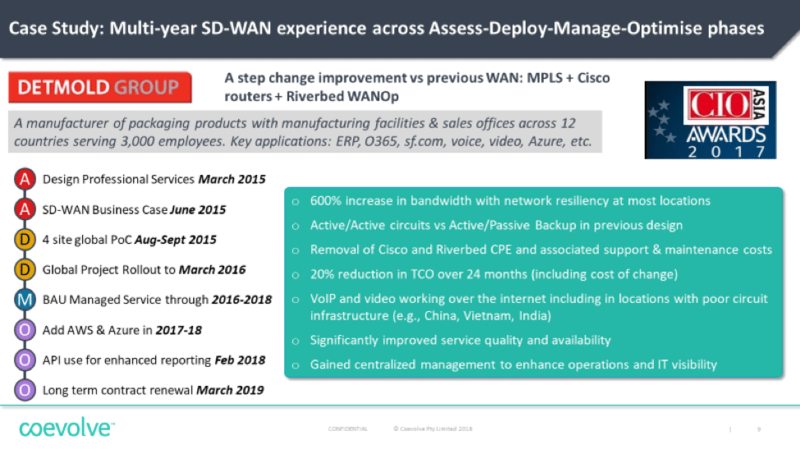 While SD-WAN deployments go back almost five years now, there is a massive gap from the leading vendors to the long list of potential contenders so get some reliable reference points as experience really matters in the final quality of outcomes. Ensure you research both the vendors and technologies you are considering to confirm that they have a successful track record in addressing your needs in the markets you operate in. What are the biggest concerns for IT Managers? A key part of getting traction for any business case is ensuring you are addressing all the major issues. The chart below is from the post “SD-WAN Attitudes And Plans: Packet Pushers Audience Survey Report” from July 2, 2018. It shows that IT pros see the four biggest issues to overcome are (1) carrier provisioning times; (2) the high cost of MPLS; (3) lack of visibility of what is going on in the network; and (4) ensuring QoS and performance generally across the WAN. While these are a combination of cost and operational issues, SD-WAN provides the ability to address all these concerns. One of the greatest business drivers for SD-WAN is cost savings. A migration to SD-WAN can achieve very significant savings, typically in the range of 20-40% vs. traditional WAN technology spend. When future state bandwidth requirements (increased cloud traffic and video) are accounted for, savings can be in the range of 40-80%. Cost savings are primarily achieved through a combination of circuit infrastructure savings, equipment CAPEX savings and operational resource savings. 1. How do I measure the savings? Establishing a credible comparison of costs between current state and future state can be challenging but is essential. We recommend establishing a business case baseline founded on Total Cost of Ownership for the term of the contract. In this way the true costs of any solution can be more accurately compared. This methodology is depicted below. One factor to keep in mind when doing current state versus future state pricing comparisons is what bandwidth capacity you base it on. Do I compare costs based on current capacity or on the upgraded capacity that the future state will utilize? Both are valid comparisons but the outcomes will likely be quite different. As the earlier survey chart showed, while cost was a major concern for IT Managers, agility in provisioning and operational performance are also high on their agendas. Secondary or Backup circuits can be utilized in Active:Active mode instead of sitting idle 99% of the time. As bandwidth continues to become cheaper, it makes little sense to lock in to long term contracts for underlay circuits. By keeping the number of underlay vendors you use to manageable number and by signing short term contracts, you will make it easy for your Sourcing department to revisit the market every say 12-24 months and take advantage of the ongoing reductions in bandwidth pricing. Be wary of providers trying to lock you in to 3-5 year terms on circuits offering up front savings as they discount MPLS in an attempt to protect market share ahead of key disruptions to the circuit underlay as customers move to broadband alternatives like NBN across Australia, and in the coming years even 5G, and indeed SD-WAN helps erode the need for MPLS more generally. SD-WAN is no longer a brand new technology, it’s been commercially available for around for about five years from the earliest vendors (as little as 12 months for some new challengers). 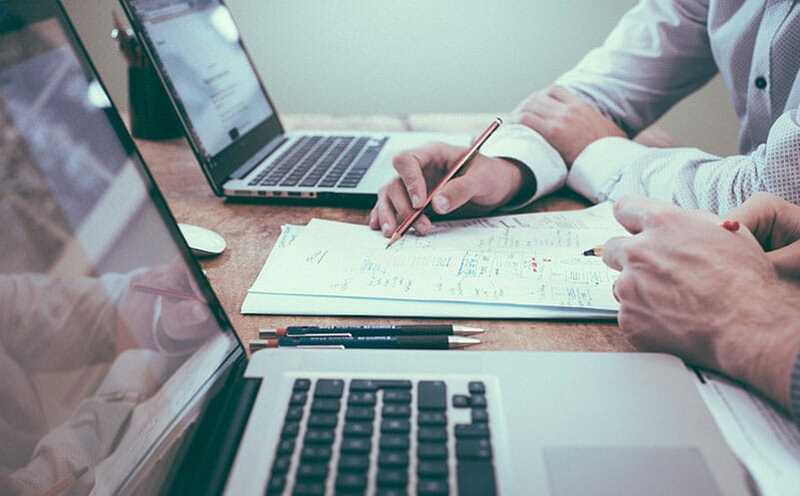 This rapid growth period has seen not only a significant number of new vendors emerge, it has seen a wealth of knowledge, experience and research accumulated which should be leveraged to support your business case. While industry analysts such as Gartner, IDC and Frost & Sullivan generally don’t establish industry benchmark studies until a market reaches critical mass, all now produce a wide variety of reports on SD-WAN products, vendors and capabilities. 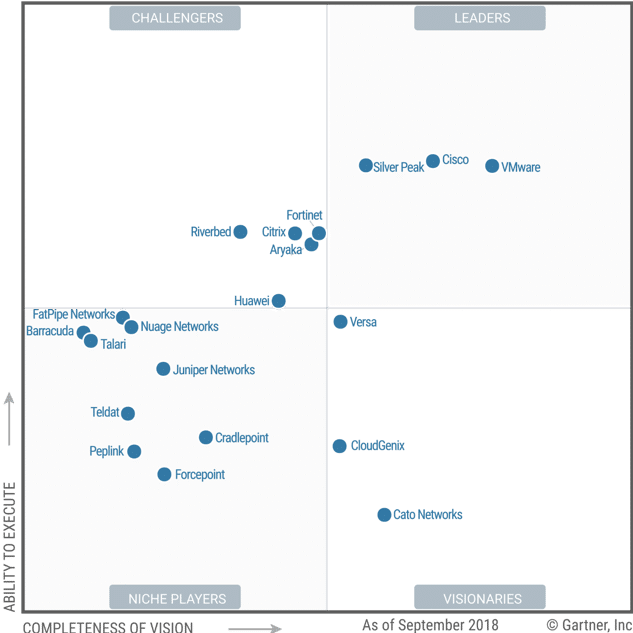 One of the most recognizable industry benchmarks, the Gartner Magic Quadrant, is now available for WAN Edge Infrastructure. SD-WAN vendors (both overlay and underlay) have had time to establish and prove their service offerings and should be readily able to provide case studies relevant to your industry/business. Push your shortlisted vendors to provide these an ensure you check references. Our clients have achieved great outcomes operationally and commercially across many industries and varying application requirements. One manufacturing client’s results are shown below as they went through Assessment and Deployment in 2015, to ongoing BAU Management, and indeed further Optimization as new features were introduced in what is now about 4 years of SD-WAN experience in a business critical environment. The business case has stood the test of time! While many vendors will offer “expertise” around their own products and solutions, this can be very specific and make comparisons between vendors/solutions difficult. Seek out an organization which can provide advice across a range of technologies, vendors and markets to get a broader view of the relative merits of each option. Need some assistance? For a high-level overview and advice on your options, Coevolve can help. Get in touch with our solutions experts today by clicking here.